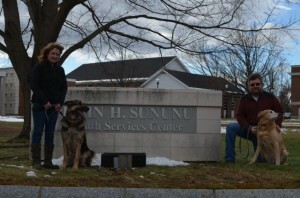 Starting in September 2013 members of Rockingham K9 have been bringing their personal dogs to the Sununu Youth Services Center in Manchester NH. The kids were exposed to different types of dogs and made things a little better for them. 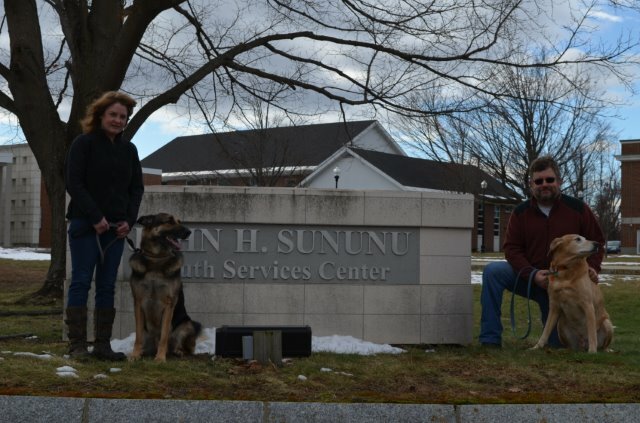 We are now starting to have the kids train dogs which include our personal dogs and we are in the process of teaming up with the Animal Resource Of New England www.arnne.org to bring dogs from their shelter to be trained by the kids. 1) It’s been proven that pet therapy provides stress reduction in people. 2) Kids are taught dog care and dog training. This gives them job skills when they graduate from the facility. 3) Dogs from the shelter are taught manners and basic obedience commands which makes them more adoptable. 4) Dog that do well and meet certain temperaments may be placed in our pet therapy or search and rescue program.